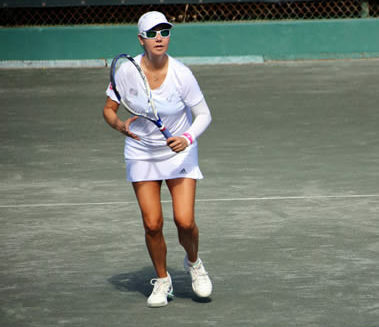 The Bermuda Breeze United States Tennis Association Category II National Tennis Championships Tournament got underway at the Coral Beach & Tennis Club. A total of 11 matches took place on the opening day, with 4 matches needing three sets to decide a winner. In a Men’s 60 Singles match Wilfred Gonsalves defeated Richard Adler in straight sets 7-6, 1-6, 7-6, while Michael Kane defeated Michael Harvey 7-5, 4-6, 7-5 in their Men’s 65 Singles match. The 2 other matches came in the Men’s 70 Singles Round Robin, as Philip Gaffney defeated Peter Vorley 7-6, 5-7, 7-5 and Ronald Wihlidal defeated Joseph Touzin 3-6, 6-3, 6-2.